Croydon MVC musical director Richard Hoyle conducted his 100th concert for the choir at St John's, Eden Park, on Saturday, May 22 2012. Richard was warmly applauded by choir members at Eden Park ahead of the concert. The choir was on top form and afterwards Richard said it had been an excellent concert with an enthusiastic audience. "I was conscious of how much had changed in the past ten years. The choir has grown in size, scope and ambition in a way that none of us would have envisioned." 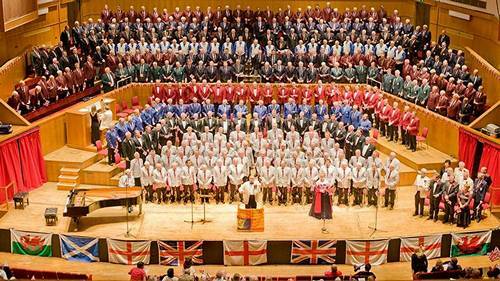 Croydon MVC hosted a triumphant Jubilee Mass Choir Concert on Saturday, June 2 2012 at Fairfield Halls, where a near-capacity audience was treated to a thrilling repertoire of hymns, anthems and patriotic songs complete with flag-waving and bunting. Eleven choirs comprising more than 400 voices took to the Fairfield stage for two hours of songs, ranging from the delicate My Lord What a Morning to the rousing Battle Hymn of the Republic. Then came the celebratory climax, conducted by Croydon musical director Richard Hoyle and including Land of Hope and Glory, Rule Britannia! and Jerusalem, with repeated encores and full-on audience participation. Soprano Ann-Louise Straker, who had earlier performed three Italian arias, sported a union flag costume as she sang five verses of Rule Britannia! 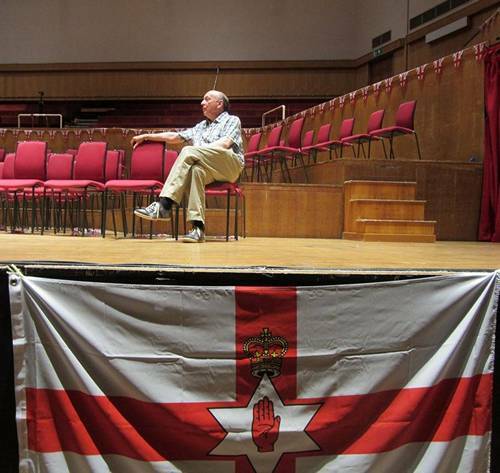 in true Last Night of the Proms style. The musical directors of the ten visiting choirs spoke of their pride at being invited to conduct one song each during the concert. 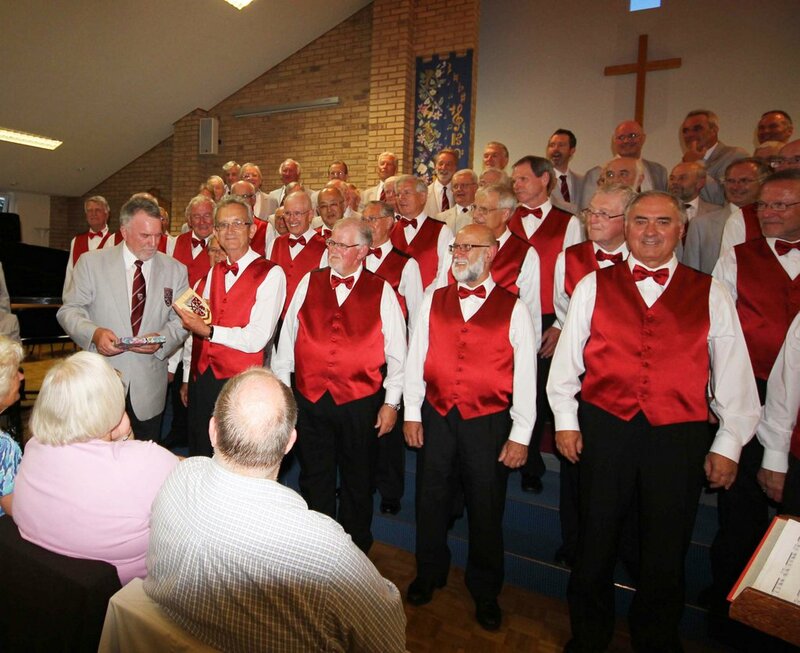 Their range of interpretations of traditional male-voice numbers was a musical treat, and they were brilliantly supported by Croydon MVC pianist Lana Bode, organist Richard Mander and accompanists from some of the visiting choirs. The eleven choirs and their supporters enjoyed an enthusiastic après in the Arnhem Gallery that continued to almost midnight. The ten visiting choirs came from as far afield as Cornwall, Manchester and Yorkshire. The full list of MVCs is as follows: Basingstoke, Epsom, Greater Manchester Police, Honley, Royal Tunbridge Wells Orpheus, Rushmoor Odd Fellows, Snowdown Colliery Welfare, St Stythians, Vauxhall and Weybridge. The concert raised funds for the Seeing is Believing charity, backed by the Standard Chartered Bank, a world-wide initiative to tackle avoidable blindness. Collection boxes were rattled by cadets from the 66 (Selsdon) Squadron Air Training Corps, who also acted as ushers for visiting choirs and their supporters. 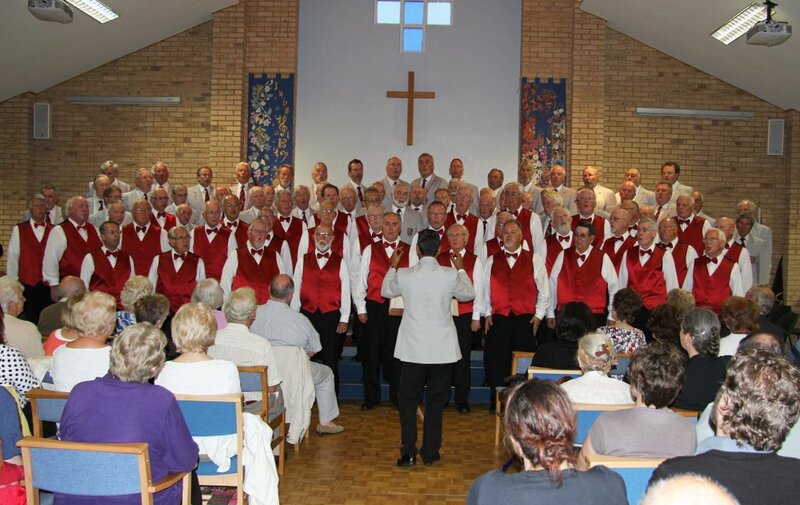 The Croydon choir welcomed visitors from Canada at a joint concert in Shirley on Wednesday July 4 2012. 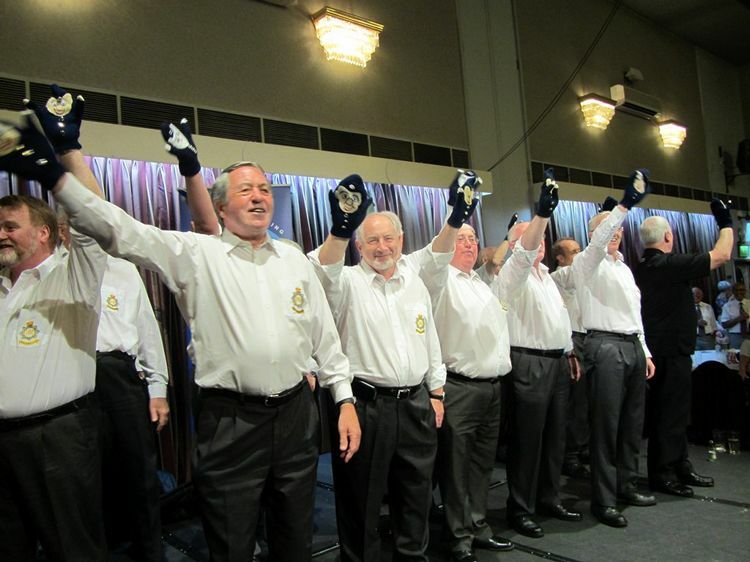 The Canadian Orpheus Male Choir, from Hamilton, Ontario, presented two spirited sets of songs, ranging from Stout Hearted Men to What Would I Do Without My Music, while CMVC sang seven numbers from its current repertoire, ending with the rousing Hallelujah Chorus. The two choirs then combined on the stage at Shirley Methodist Church to sing Morte Criste, conducted by COMC music director Janice Moro, and Battle Hymn of the Republic, conducted by CMVC assistant musical director Darren Wilkins, who was standing in for Richard Hoyle on the night. 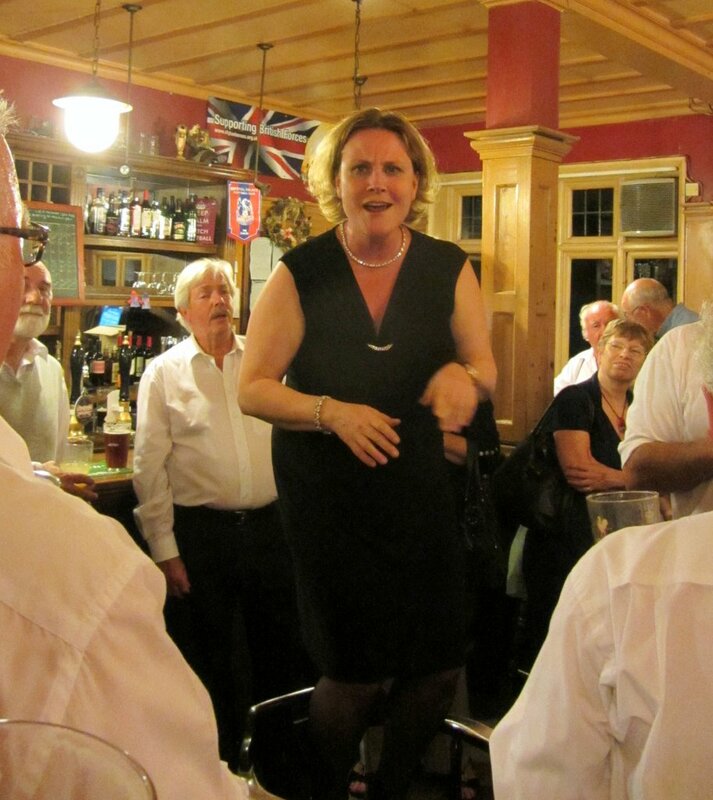 A sell-out audience applauded both choirs enthusiastically and the two choirs came together again for apres singing at the Cricketers pub in Addiscombe. 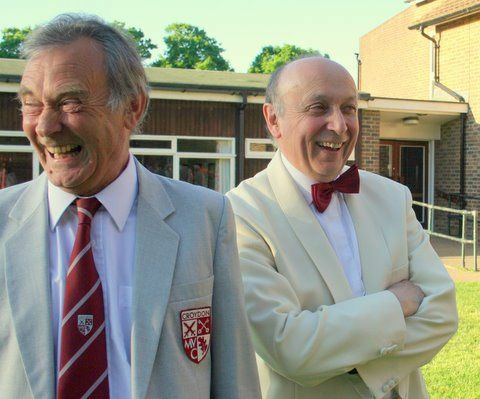 Canadian choir members thanked Croydon for its hospitality - and invited CMVC to a return match in Hamilton in 2014. 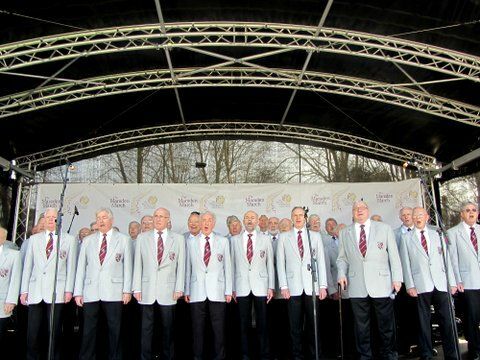 The Croydon choir staged a 30-minute performance at the finishing line of the Marsden Charity Walk in Sutton on Sunday March 11 2012. 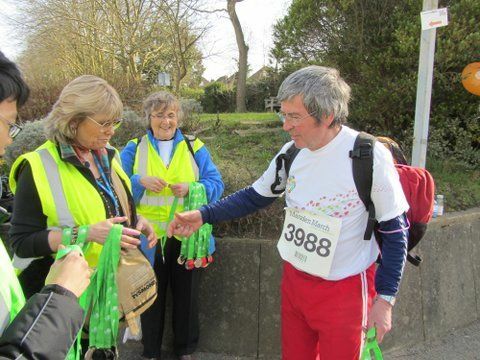 The walk, which raises funding for the Royal Marsden cancer charity, attracted more than 3,000 entrants and the CMVC was there to welcome them at the end of their 14-mile journey. Croydon bass singer Pete Smith, who is a Marsden patient, took part in the walk, receiving his finisher's medal just in time for him to join the choir on the Marsden open air stage. Also singing was bass Ian Harmer, who did the walk last year in memory of his wife Wendy, who died of breast cancer in 2008. The choir treated the audience to a rousing ten-piece set, ending appropriately with You'll Never Walk Alone. 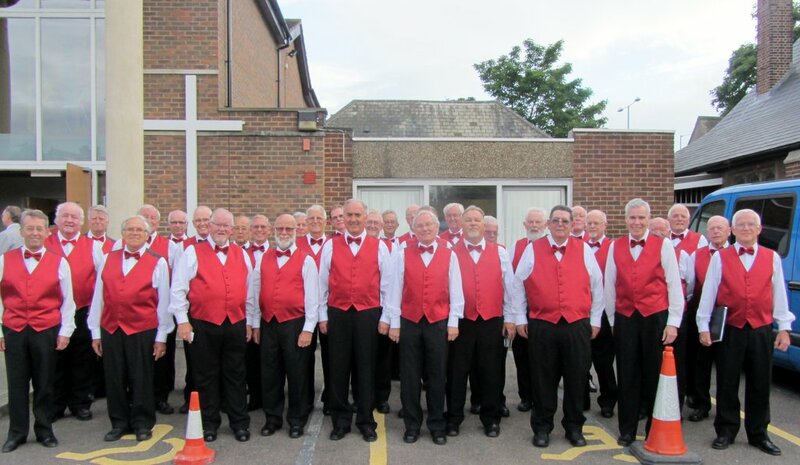 Among the listeners was a contingent from Epsom MVC, which performed before the Croydon choir and is also taking part in the Mass Male Choir Diamond Jubilee Concert at Fairfield Halls on Saturday June 2 (tickets are selling fast!). 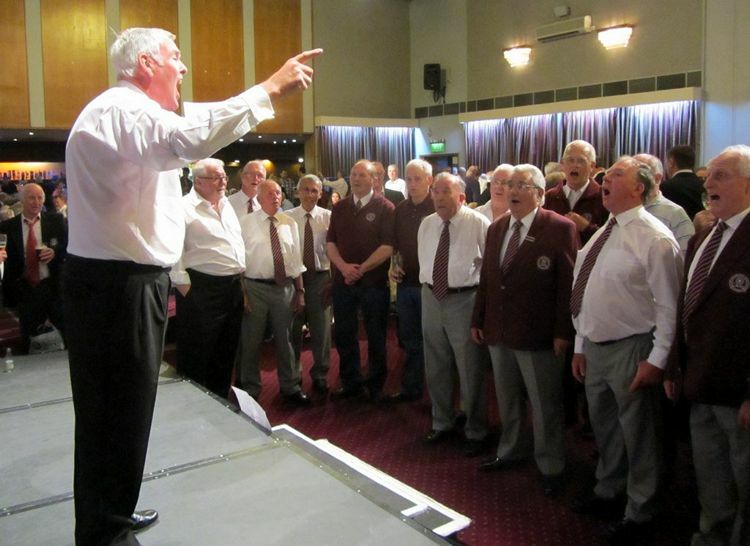 The choir's Marsden appearance came two days after another charity performance, when it sang for the Mayor of Croydon's charity dinner at the Croydon Hilton on Friday March 9. The choir was enthusiastically received by the 100-strong audience, resplendent in their evening dress. 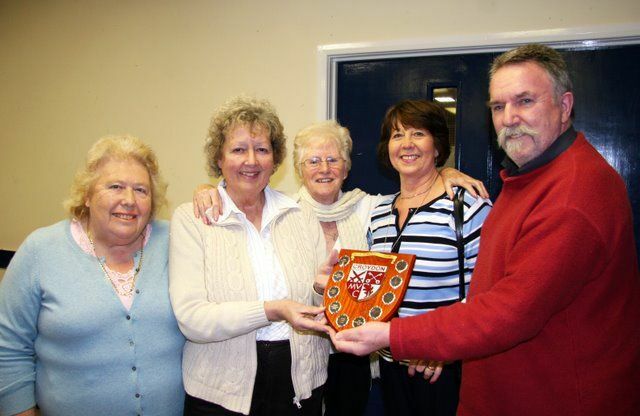 Following our report of the award of the CMVC Alan Shield to the choir ladies at the annual dinner, the shield itself was presented to the ladies at Sandilands on Thursday January 26 2012. The shield was handed by chairman Kim to Jean Cantrell, with Gloria Rowe, Dot Stevens and Margaret Jacob also in attendance. Kim repeated his thanks to the ladies for all their help and support. Jean thanked the choir for the award, giving a special mention to the large team of helpers who host visiting choirs when the CMVC stages a joint concert. The choir serenaded the ladies with a rousing rendition of There is Nothing Like a Dame. Croydon Male Voice Choir led the singing at a civic memorial service at Croydon Minster on Sunday August 14, 2011, in memory of the pupils and staff from Lanfranc School who died in an air-crash in Norway fifty years ago. John Ward Turner reports: It is fifty years since an airliner carrying 34 pupils and two members of staff from Lanfranc Secondary Modern School in Croydon crashed into a Norwegian mountain, leaving no survivors. That terrible tragedy is not forgotten and a most moving civic memorial service was held in Croydon Minster on Sunday 14th August. The Reverend Canon Colin J. Luke Boswell officiated before a congregation of around 500 people that included many local dignitaries, among them Councillor Graham Bass, Mayor of Croydon, who also read the lesson. In line with the theme of local participation, Croydon MVC led the singing of stirring hymns such as ‘O God Our Help in Ages Past’, ‘Guide Me, O Thou Great Redeemer’ and ‘I Vow to Thee My Country’, accompanied by Andrew Cantrill, the organist and master of choristers at Croydon Minster. The choir’s recognition of the importance of the occasion was shown by a near maximum turnout of 50-plus members who also sang the lovely choral setting of the Lord’s Prayer, the beautiful ‘Gwahoddiad’, and a stirring rendition of the ‘Hallelujah Chorus’, shortly before the final blessing, that drew spontaneous applause from the congregation despite the seriousness of the occasion. It was an emotional afternoon and the total silence that accompanied the reading aloud of the names of those who died on ’Papa Mike’, including three aircrew as well as the 36 from Lanfranc School, bore witness to the solemnity felt by all. It was greatly appreciated by everyone present that Mrs. Bjorg Tysdal Moe, the Deputy Mayor of Stavanger, had travelled from Norway to offer a most moving and beautifully worded tribute to the dead. Perhaps the fact that the memorial service closed with choir and congregation joining to sing ‘God Save The Queen’ with great fervour and not the least trace of embarrassment is the greatest proof of the value all participants gave to the occasion. 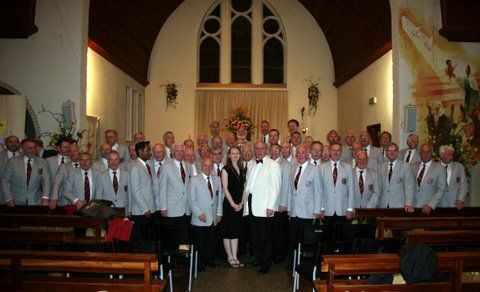 Croydon Male Voice Choir returned tired but happy from its first ever Dutch tour over the weekend of April 9-11 2010. The choir performed two concerts, at Callantsoog (see picture) and Anna Pawlona. 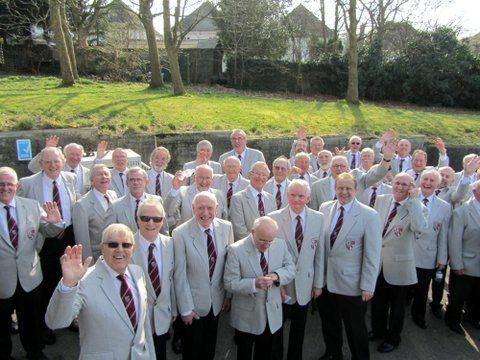 The choir left Croydon early on Friday April 9, travelling by coach through France, Belgium and the length of Holland and arriving at the North Sea coastal resort of Callantsoog at 5.30pm. The choir sang that evening at the local church, the oldest building in Callantsoog. The select but appreciative audience particularly enjoyed the choir’s Dutch Medley, composed for the tour by Richard Hoyle. Following a day’s sightseeing in Amsterdam on April 10, the choir sang to a 400-strong audience at the church of Anna Paulowna, 15 miles from Callantsoog. The Dutch medley was again especially well received. The choir’s assistant musical director, Darren Wilkins, performed solos on flute and piccolo at both concerts. The concert’s host, Hans Kapiteijn, thanked the choir warmly, praising it for making the long journey to West Friesland. He said that the concert was "absolutely wonderful, a perfect performance" and was "thoroughly enjoyed by the audience". He shook hands with tour organiser John Ward Turner, a long-standing friend whom he had known for 40 years.